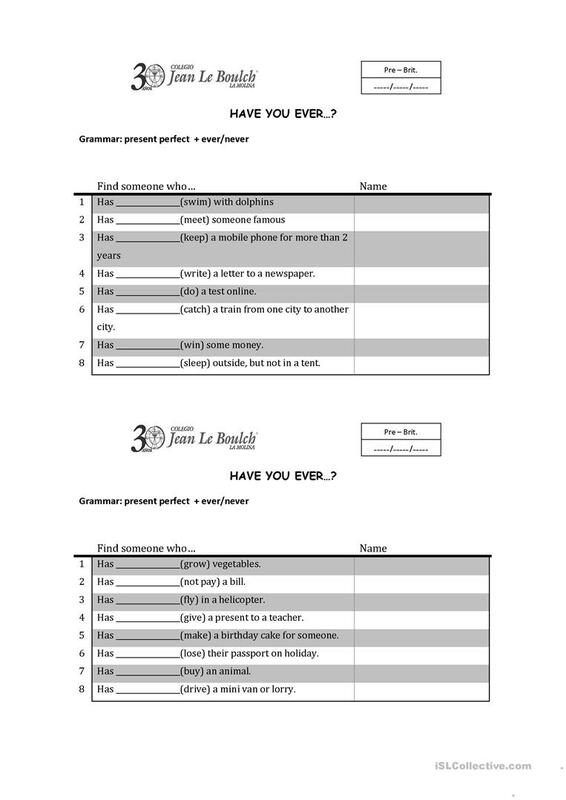 This worksheet was cretaed to practice simple present perfect with highschool students of 12 to 14 years old. It can be edit to fullfill special needs or interests. The present downloadable printable was created for high school students and elementary school students at Pre-intermediate (A2) level. It is valuable for practising Present perfect simple tense in English, and is useful for improving your students' Speaking skills. karinakhris is from/lives in Peru and has been a member of iSLCollective since 2013-05-07 19:02:50. karinakhris last logged in on 2017-06-18 21:51:51, and has shared 3 resources on iSLCollective so far.